There are many high-quality calendar icon and Clock Icon templates available on the internet today and so, you don’t have to create one yourself. All you need to do is to download the calendar icon template and then start using the model to track the dates. Tracking dates will make sure you never miss out on any appointments and meetings. The following is a list of the top fifteen calendar icon templates that you can download and use without spending a lot of money. The Google Calendar icons use special commercial free fonts. It features fully editable layers as well as colors that you can easily alter. The templates are fully resizable, and all the vector shapes are editable as well. The purpose of awareness symbol and calendar is to help you create awareness about an event, especially a health day function. You use the ribbon to create an awareness and the date template for recording dates. These vector calendar icons are an easy-to-alter set, and they are best for those looking for a straightforward and easy to customize collection. This template is colorful and impressive in terms of appearance. Save the date is a cool calendar for those who want to save special dates to spend with their loved ones. The background is somewhat fixed, but it is possible to change when you make a request to do so. Note that every icon in this collection is on a separate PNG file. They are best for recording and tracking calendar dates as well as important days of the month. You can also edit the template in Adobe Photoshop. If you are looking for a perfect collection of icons with days of the week and months of the year, you will find this template useful. It is colorful and hence suitable for use without editing. This set is best for designing a personalized calendar for either the office desk or the home desk. You can also use the template as a virtual calendar on your personal computer. This is a collection of 84 calendar icons that you can print on glossy papers. Print them on stickers that support easy hole-punching. Note that the calendar icons are ready to peel and stick. 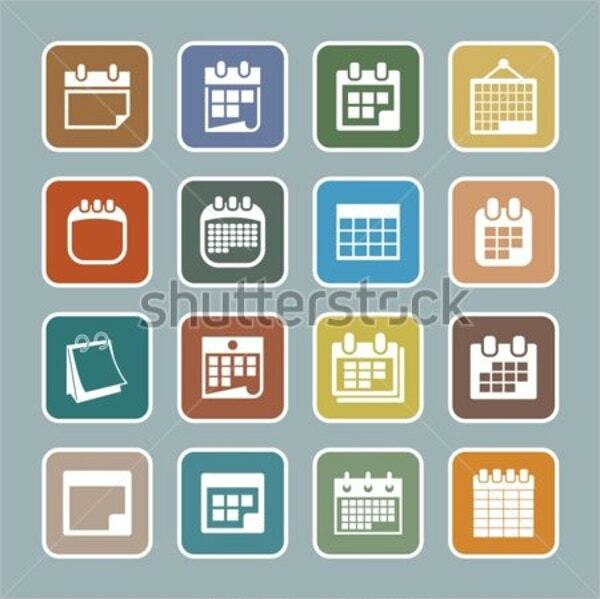 If you are looking for the best calendar icons, get this one and use it without the need to customize the templates. They aren’t layered but you can use them exactly as they are. The Desk Calendar icon is a 12-page plus cover calendar that you can use for home or office. Simply download the template, print, and place it on your desk for date recording and tracking. The template is simple to edit and easy to customize as well. This is a collection of a dozen icons. You can use the collection for dates, events, and more. It is the best collection for those who are looking for the best date icons. This collection is relatively cheap. A collection of calendar icons and Social media icons often gives you a variety of choice, which means you can pick a template of your choice and use it for monthly date tracking. This collection is of high quality as well as customizable. Are you looking for high quality, cheap calendars in Spanish? You can download and customize this one for your needs. It costs only $2; so of course, it is a definite steal! Are you looking for the best Vector Calendar icons that you can use without doing any editing? Well, this collection is the best for you. Download the vector template today and make your date tracking fun and easy. There are many calendar icons out there but these are the top ones. Of course, you can create the objects yourself on your personal computer, but doing so is going to consume a lot of your time. That is why you should download these templates instead of creating them from scratch.